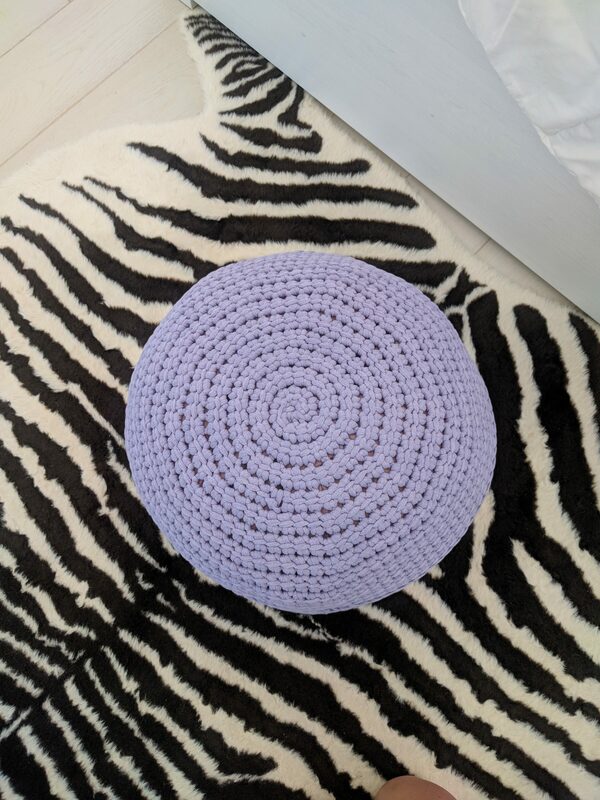 I’d never crocheted a floor pouf before but when I received this “Kartopu Home Decor” yarn from Hobium Yarns, It was just begging to be made into a floor pouf. When it comes to stuffed projects, I’m always torn between the tight weave of single crochet and speed of double crochet. So I was so excited to find the “linked double crochet” stitch! 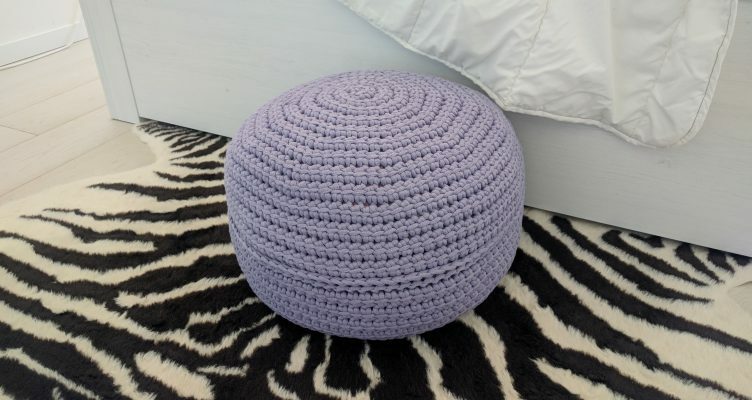 It’s tight enough to make this durable floor pouf but is worked with the speed and ease of double crochet. Plus, working in a spiral means no unsightly seams! For this pattern you’ll need about 525 yards (480 m) of Kartopu Home Decor from Hobium Yarns.